I was very skeptical about this console from the beginning - it was a Microsoft product, how good could it be? Later, a number of my coworkers bought them, mainly for the purpose of modding them and turning them into "media centres". 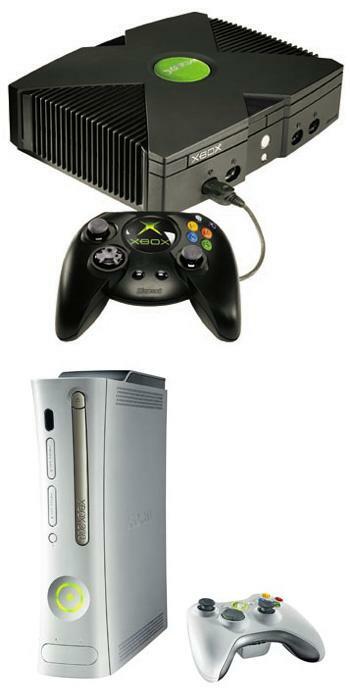 This had a certain appeal to me, and I'm always up for a new console at the right price. A former colleague who can't stand video games got an XB free with some kind of a hire purchase agreement, so he sold it to me for next to nothing, and the rest is history. Exciting story, eh, scenesters? Yes, I turned mine into a "media centre" too, but I mainly use it to play MAME or "Panzer Dragoon Orta". Should I mention that I completed Half Life 2 on the trusty XBox three times? Holy Christ, I love that game - and no, my PC isn't powerful enough to play the fancy pants original PC version. Thankfully for me, I got a 360 last year, and picked up Orange Box, but then, that's probably a story for the 360 page, isn't it? What finally pushed me over the edge into buying a 360 was a combination of whim, a decent package deal and the use of the phrase "a discerning customer like yourself" without a trace of irony by the guy in the store. What's kept me enjoying it has been a combination of good games, the feeling of being up to date with the latest and greatest, and the enduring and ever-present possibility of having my parentage and sexuality questioned by 12 year olds on XBox Live.